Cape Verde, an island nation, is considered to be a developing country being included in the list of the United Nations Small Island Developing Countries. In 2009 Capa Verde became the Member of the World Trade Organization. International companies aiming to export products from Cape Verde are particularly encouraged by the country's government. This way the nation is trying to balance its trade deficit. It is also worth mentioning that Cape Verde's economy is in constant development and recently it is has been denoted as a new land of opportunity for business people around the world. 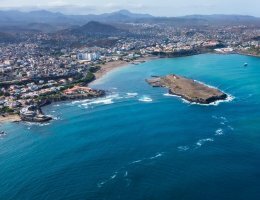 For example, Cape Verde's waters are rich in under-exploited marine resources, thus offering a great potential for investments in the fishing industry. The present catch makes up only 6000 tonnes yearly, however, 45,000 tonnes can be caught without exhausting resources. This presents big opportunities to develop lobster and tuna export business. Cape Verde's other main exports include coffee, bananas and sugar. Principle trade partners of Cape Verde are Spain, Portugal and other European Nations. 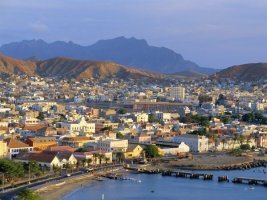 Interested in setting up an export business in Cape Verde? Or are looking to export high quality seafood, coffee or sugar from Cape Verde. Export Portal serves as a gateway to international trade. Join free to connect with verified Cape Verde Manufacturers, Cape Verde Exporters and Importers, Cape Verde Buyers, Traders, Distributors, Wholesalers and Suppliers. The major sectors of the Cape Verde's economy are services, commerce, transport, and fishing. The government of Cape Verde works on the promotion of a market economy and of the development of the private sector. It also encourages the development of tourism, light manufacturing industries, transport, communications and energy facilities. In the near future, tourism is expected to become the biggest growth sector of the GDP. The government's economic reforms work towards developing attracting foreign investment to diversify the economy. Mining is another sector of the Cape Verde economy. The country produces clay, gypsum, iron ore, limestone and salt. This industry does not play an important role in the country's economy, as most of the mineral products are imported. Agriculture represents about 12% of GDP, as farming is limited by the climatic conditions and soil erosion. The main crops cultivated in Cape Verde are beans, bananas, sugarcane, corn, coffee, peanuts and sweet potatoes. Due to unfavorable conditions for agriculture, more than 80% of the country's food is imported. Animal raising is also practiced (goats, hogs, cattle, sheep). Tuna and lobster are the main products of the fishing industry. Other Cape Verde industries include tourism, ship repair, food processing, manufacture of shoes and clothes. The island is the world's 175th largest importer. Its main imports are petroleum, cement, agri-food products, transportation equipment, shoes and clothing, industrial products, electric motor parts. Portugal, the Netherlands, Spain, China and Finland are Cape Verde's main import partners. Cape Verde or Cabo Verde is an island situated in the Atlantic Ocean and one of the most developed and democratic countries in Africa. The country's economy is service-oriented, the main sectors being tourism and foreign investment. Cape Verde maintains cooperative foreign relations with Angola, Brazil, China, Cuba, France, Portugal, Russia, Senegal, Spain, and the US. It is a member of the African Union and World Trade Organization. Cape Verde applies a 20.8% tariff to agricultural products and 17.7% to non-agricultural products. The Cape Verdean government intends to reduce import taxes by 2018 as it follows : 15.9% (overall tax), 19.3% for agricultural products and 15.4% for other goods. Generally, tariff rates vary from 0 to 50 percent. The highest tariffs are applied to clothes – 34.1 %, beverages, spirits, and tobacco – 31.3%, fish and fishery products – 22.9%. Peak bound rates of 50% or 55% are applied to such products as chocolate, soft drinks, beer, spirits, cigars, raw fur skins and fur clothing, soap and detergents, carpets and floor coverings, wigs, drinking glasses, worked ivory, certain motor vehicles (new or second-hand), and furniture. A non-automatic licensing is needed for products which are subject to sanitary or phytosanitary controls or security measures (ex. handguns and explosives). Non-automatic licenses are normally issued within 21 days from the date the customs declaration is presented to the authorities. The license is issued for each transaction and is valid for the time requested by the importer. Import licenses for arms and other security products are valid for 90 days and may exceptionally be extended for another 60 days. In addition to the non-automatic license, a certificate of compliance may be required from the sanitary or phytosanitary authorities, or other authorities depending on the nature of the products. Any products imported into Cape Verde must be accompanied by a description in Portuguese. The new products must be accompanied by a receipt, the used ones must be given an acceptable valuation in euros.